There's a living room in my future with a cathedral ceiling. It is screaming for a huge chandelier, don't you think? I'm looking for inspiration and this is my first choice. It's the Pauline Chandelier from Aiden Gray and is a grand 51" in diameter. 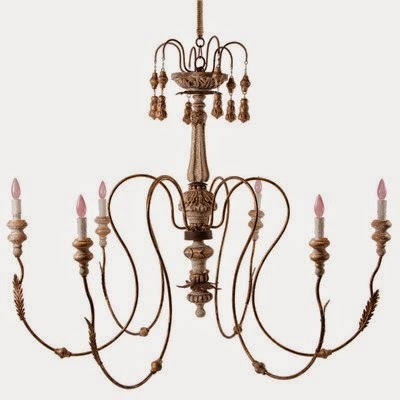 I also like the Italian Wedding Chandelier, also from Aidan Gray. It's slightly larger at 53" but lighter and airy. There are four sconces to consider too. 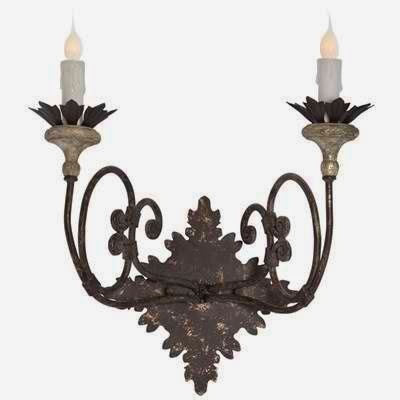 I like the Nimes Sconce. 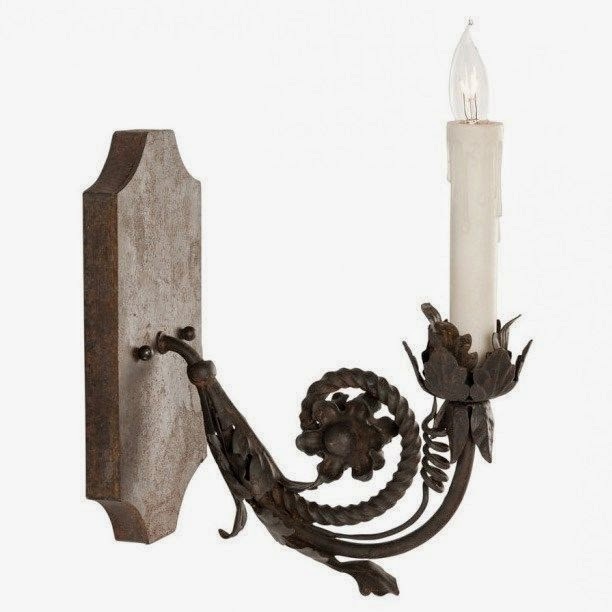 The Ferronnerie Sconce is also fun. It's traditional with a twist. Both sconces are Aidan Gray and available through Layla Grayce. The chandelier in this living room looks very much like the Italian Wedding Chandelier I am considering. I like the neutrality of this room with the white linen upholstery and brick maker's coffee table. While I have the biggest design challenge ever, I am enjoying the process, although I feel like my head is going to explode! I hope you hang in there with me as we embark on a whole new lifestyle and I hopefully live to blog about it! I am enjoying the process, Delores! Are we moving to San Francisco? Did I miss something? This is a little bittersweet! I loved your former house so much, but I know your new home will be just as beautiful! Looking forward to joining you virtually in the process! Btw, all your lighting inspiration is just gorgeous! I would love to have a place for one of those Aiden Gray chandeliers! I feel like I've missed something! Please fill us in on the details! I feel like I've missed something too! Did you sell your house already??? I'm glad I'm not the only one who has missed something. Will the gorgeous outside seen in the previous blog about the sofa table and succulents going with you or is it already there? I have so many questions! Exciting new beginnings Delores!! You know how much I loved your old house...I'm looking forward to seeing you work your magic in your next home too!! I know it will be beautiful! Delores- How beautiful. The room is so similar to the one shown. I love the look . 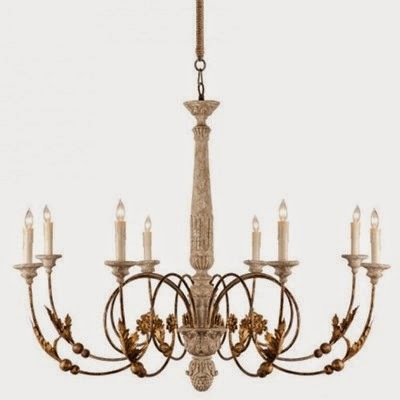 What is the height of the chandelier you are looking at and the one in the picture ? I can't wait to see the finale. I love all your ideas so far Delores. Can't wait to see the place!!! Delores, it's fun to follow along as you make decisions and give us a peek into the new abode. Love the vaulted ceiling. We seem to have settled in again with a decision to stay put. Watching your excitement of a new place makes me a tinge envious. Thanks for sharing all the details. Keep having fun! I like the second choice! I'm getting there. Not totally over your move!!! But I love being part of the process. Very cool...I will certainly be following along on your adventure. 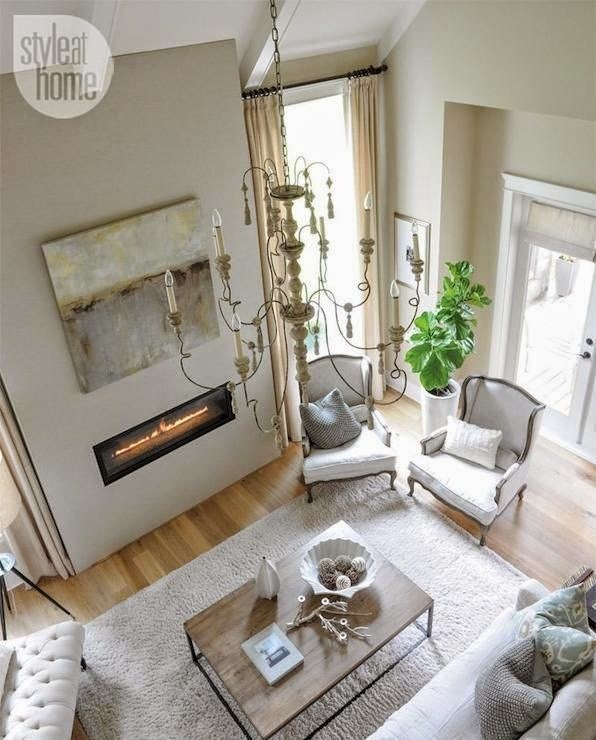 I like the second choices for both the chandelier and the sconce! I love them all. 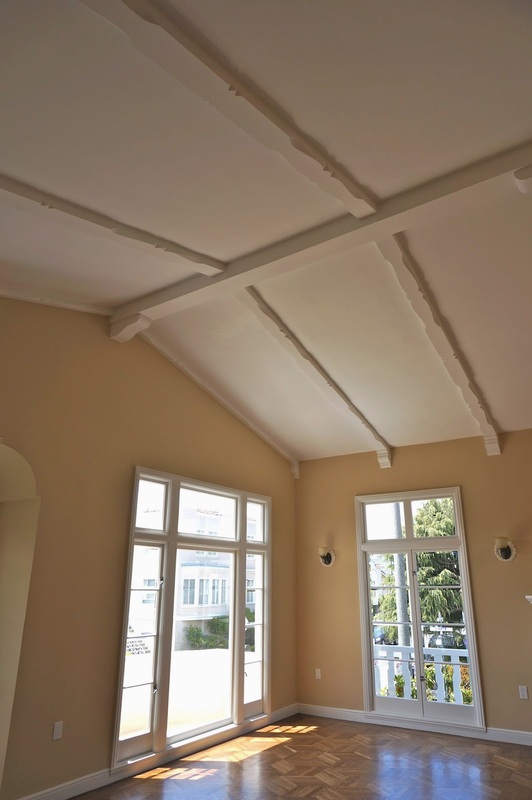 What I love most are those beams! I feel like I missed something. Has your house already sold? Have you already found a new place. We must have details ...please! Girlfriend ! You're keeping some secrets from us ! Let us in on the fun... ! All of the lighting choices are beautiful. I think I like Chandelier #2 and Sconce #1. Just in case you wondered. I love the inspiration room!! Really love the chairs a lot! Well, just the entire feel of the room is serene. love this home renovations in Los Angeles! These designs are just so amazing and your styling skills rock!